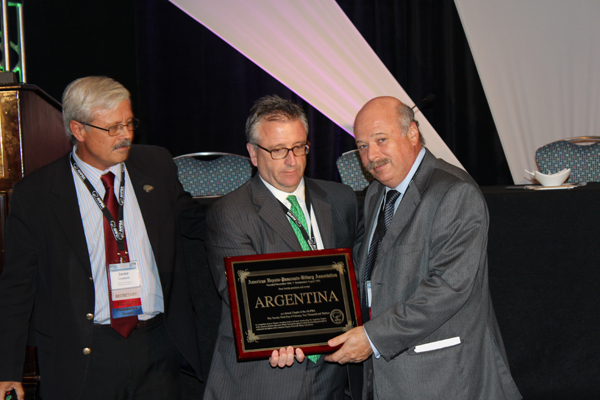 Argentina Chapter President (2013-2015), Dr. Oscar Imventarza, receiving the official National Chapter plaque from Drs. William Jarnagin, AHPBA Immediate Past President, and Javier Lendoire, AHPBA Secretary. The Argentinian HPB Chapter was formed on April 24, 1995, led by Eduardo de Santibanes.